Hamburg has the most beautiful cemetery in Germany. 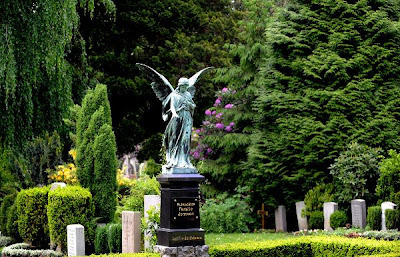 At least, according to a jury organized by the Bishop of Mainz, Cardinal Karl Lehmann, which declared Ohlsdorf Cemetery the winner of the award sponsored by the website Bestattungen.de. “Ohlsdorf Cemetery in Hamburg, with an area of 555 soccer fields, is one of the largest park cemeteries in the world,” a jury member said. Despite its size, the site is idyllic, he noted. Second place went to the Forest Cemetery in the Bavarian capital of Munich. The main cemetery of Mainz, the capital of the Rhineland-Palatinate, won third place. The award for the most beautiful cemetery in Germany was started by Bestattungen.de in 2011. The aim of the award is to “encourage society to approach the topic of death with more awareness,” Lehmann said.